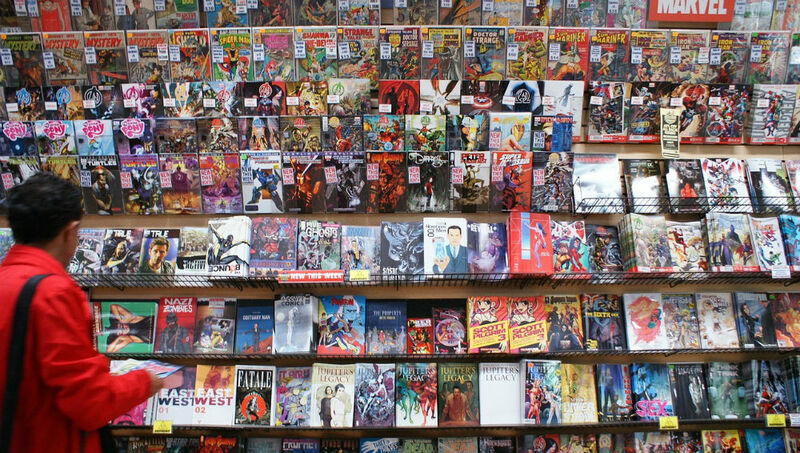 DC Comics announced it’s canceling six of its “New 52″/”DCNU” titles… said cancellations include: “Men of War,” “OMAC,” “Hawk and Dove,” “Blackhawks,” “Mister Terrific,” and “Static Shock.” Replacing them will be: “Batman, Incorporated,” “Earth 2” (spelled without a hyphen, apparently; the long-awaited Justice Society book), “World’s Finest” (a revival of the old Superman/Batman teamup comic, this time featuring the Huntress and Power Girl), “The Ravagers” (superpowered teens on the run), “GI Combat” (a revival of the old war comic), and “Dial H” (a darker take on “Dial H For Hero”). While I won’t miss “Mister Terrific” much, I will miss “Static Shock.” I figured both titles would get the axe sooner or later, just not this soon; it hasn’t even been a full year! 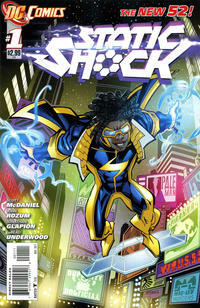 Never mind that a comic based on a successful TV show (“Static Shock”) should’ve gotten more promotion (or been more successful among the general public/”new readers”). Of course, there’s the fact that they’re now left with two comics featuring Black leads, “Voodoo” and “Batwing” (a comic tied to Batman). Speaking of the Dark Knight, one of the canceled titles’ replacements is yet another Batman comic, as if the huge number they already publish (or tie into Batman even tangentially, such as “All Star Western”) isn’t enough.